If you had bought $100 in bitcoin back in 2011, your investment would be worth nearly $4 million today. All over the internet there are stories of people who treated their friends to lunch a few years ago and, as a novelty, paid with bitcoin. Those same people are now realizing that if they’d just paid in cash and held onto their digital currency, they’d now have enough money to buy a house. That sort of precipitous rise is stunning, of course, but bitcoin wasn’t intended to be an investment instrument. Its creators envisioned it as a replacement for money itself—a decentralized, secure, anonymous method for transferring value between people. Cryptocurrencies like bitcoin provide a unique service: Financial transactions that don’t require governments to issue currency or banks to process payments. Writing in the Atlantic, Derek Thompson calls bitcoin an “ingenious and potentially transformative technology” that the entire economy could be built on — the currency equivalent of the internet. Some are even speculating that bitcoin could someday make the US dollar obsolete. Digital financial transactions come with a real-world price: The tremendous growth of cryptocurrencies has created an exponential demand for computing power. As bitcoin grows, the math problems computers must solve to make more bitcoin (a process called “mining”) get more and more difficult—a wrinkle designed to control the currency’s supply. Today, each bitcoin transaction requires the same amount of energy used to power nine homes in the US for one day. And miners are constantly installing more and faster computers. Already, the aggregate computing power of the bitcoin network is nearly 100,000 times larger than the world’s 500 fastest supercomputers combined. The total energy use of this web of hardware is huge—an estimated 31 terawatt-hours per year. More than 150 individual countries in the world consume less energy annually. And that power-hungry network is currently increasing its energy use every day by about 450 gigawatt-hours, roughly the same amount of electricity the entire country of Haiti uses in a year. That sort of electricity use is pulling energy from grids all over the world, where it could be charging electric vehicles and powering homes, to bitcoin-mining farms. In Venezuela, where rampant hyperinflation and subsidized electricity has led to a boom in bitcoin mining, rogue operations are now occasionally causing blackouts across the country. 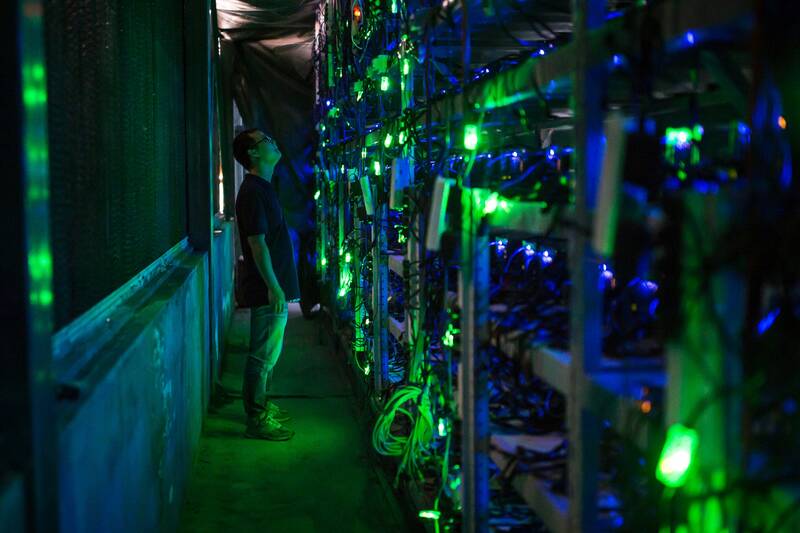 The world’s largest bitcoin mines are in China, where they siphon energy from huge hydroelectric dams, some of the cheapest sources of carbon-free energy in the world. One enterprising Tesla owner even attempted to rig up a mining operation in his car, to make use of free electricity at a public charging station.